Basic Knowledge of Infra Skills such as Linux Admin, windows Admin, Networking, etc. Basic Knowledge of Scripting such as Python, C++, PowerShell, Bash, etc. will be added as an advantage. Azure Certification or training will be added as an advantage. Powerupcloud is one of the fastest growing cloud & big data consulting company. With offices in 5 countries and 200+ people, Powerupcloud is growing at a rate of 200% YoY. 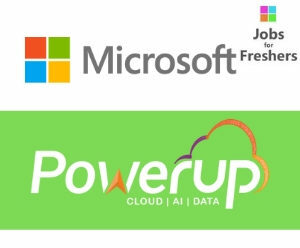 With more than 10 service lines and 2 AI products (IRA.AI & Recomind.co), Powerupcloud presents a great opportunity for you to learn some amazing technologies and work with some of the finest in the industry.